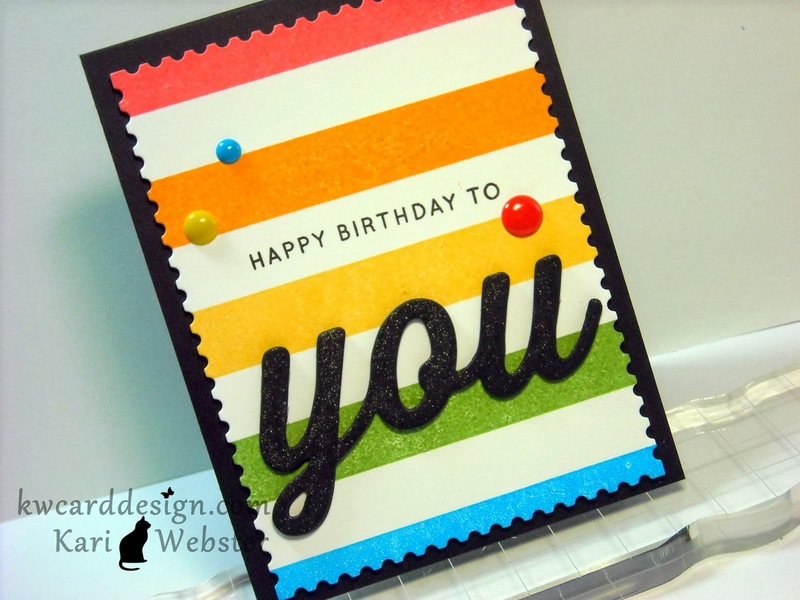 KWCardDesign : Happy Birthday to YOU card + video! Hello! I wanted to share you a card I made using some of the new Simon Says Stamp products from the Spring Release 2014. I also have a video showing you the process of how I made it. I enjoy using new products - and I really love a lot of the new products from the latest release.